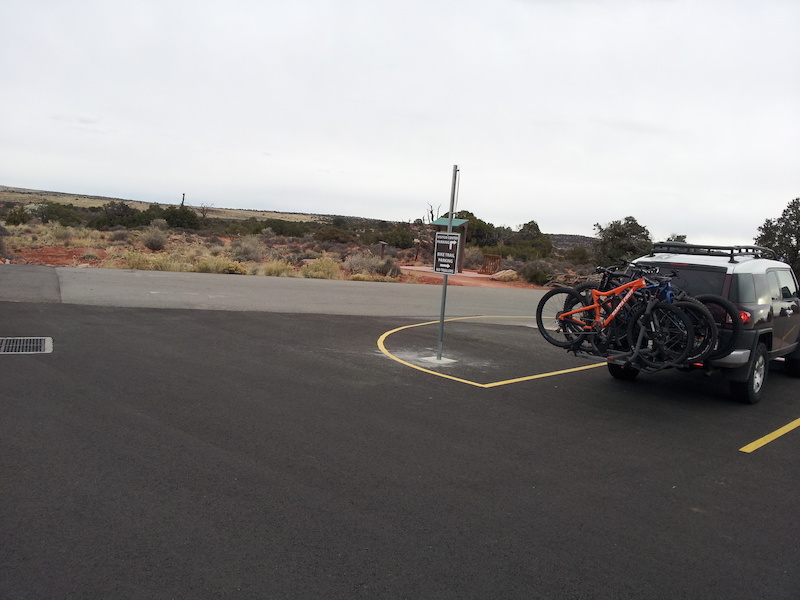 Big Parking lot at the Dead Horse Point State Park. There is an entry fee ($10 for a car). Or if you have an annual state pass, that works too.